Certain molecules cannot withstand the heat of terminal sterilization. The Technoflex R&D department has designed sterilized bags destined for filling in an aseptic environment. 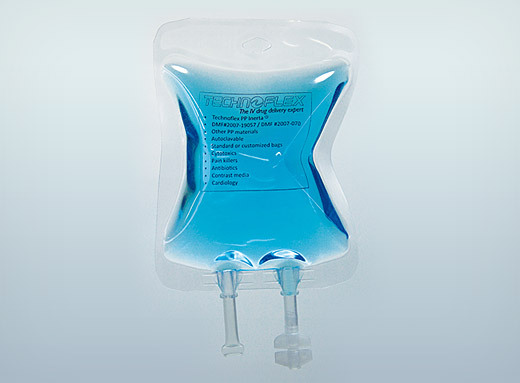 Made of Inerta® PP, these sterile IV bags are the result of recent innovations in R&D. The ‘Butterfly’ design reduces folds created during the filling process and facilitates the flow of solutions. The boat ports are welded into the bag guaranteeing the system’s water tightness and reducing the danger of tearing during opening of the outer packaging. 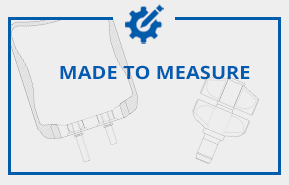 Sterilized using Beta rays, they are packaged in specially-designed double packaging compliant with ISO 11607, which facilitates visual checking of the bag’s integrity. This guarantees the bag’s sterility from production to filling in an aseptic environment (industrial and hospital). The first layer of outer packaging bears a stamp certifying the sterility of the product. Polypropylene IV bag drip tubes are Ultrasonic welded and EVA bag drip tubes are High Frequency welded. For more information, contact the Technoflex Sales Department.